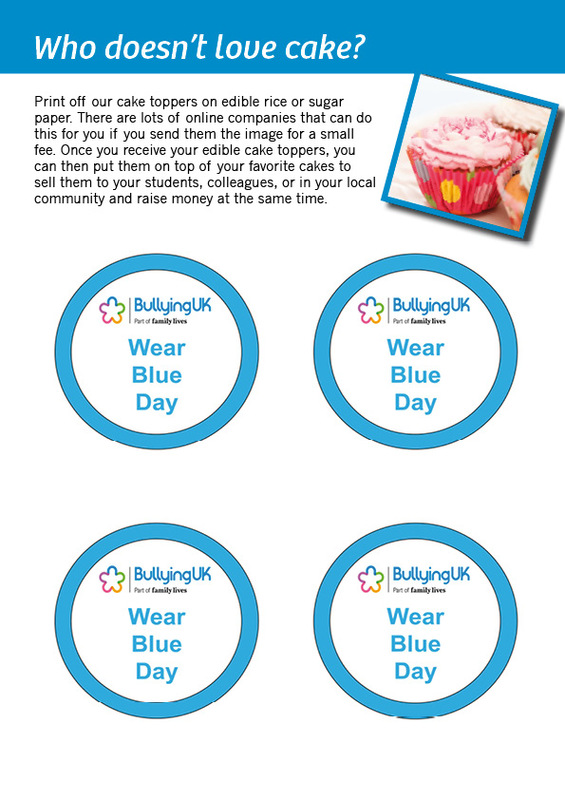 Download our Wear Blue pack filled with fun ideas to make your Wear Blue day a hit! We all know someone who has been affected by bullying. The impact of bullying can be devastating and your vital support means that we can help even more people to overcome it. "I kept coming home with injuries and bruises, not wanting to go to school, my parents were really distressed. I was only 12 at the time so they complained and spoke with teachers on my behalf - mum and dad got me a support worker which really helped." This pack contains ideas, blank posters for you to write on, cake toppers and our amazing blue specs to help you see a world without bullying. We have other free anti-bullying resources to help make your Wear Blue Day a hit. Print off our amazing cake toppers on edible rice or sugar paper and then add them onto your cupcakes and help raise money for Bullying UK. There are lots of online companies that can do this for you, all you need to do is send them the image and for a small fee then can transfer this onto edible rice paper or sugar paper all ready to top your cakes. Dont forget to send us a picture of your yummy cakes! Why not download this activity using the anti-bullying specs to encourage children and young people to look through the eyes of the bullied or the bully. You can print these off and ask the students to decorate them to their liking. This activity is a great way to explore the feelings and emotions that bullying can cause for both the bullied and the bully. 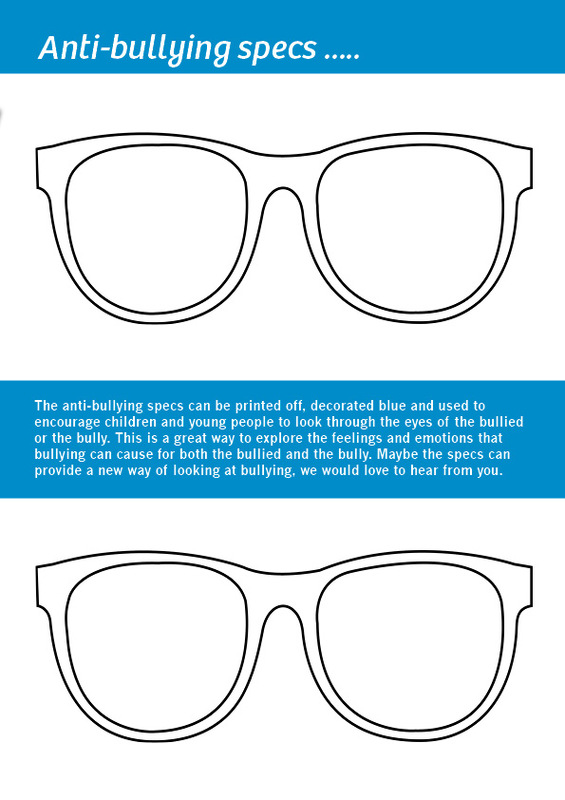 Maybe the specs can provide a new way of looking at bullying, we would love to hear your outcomes. 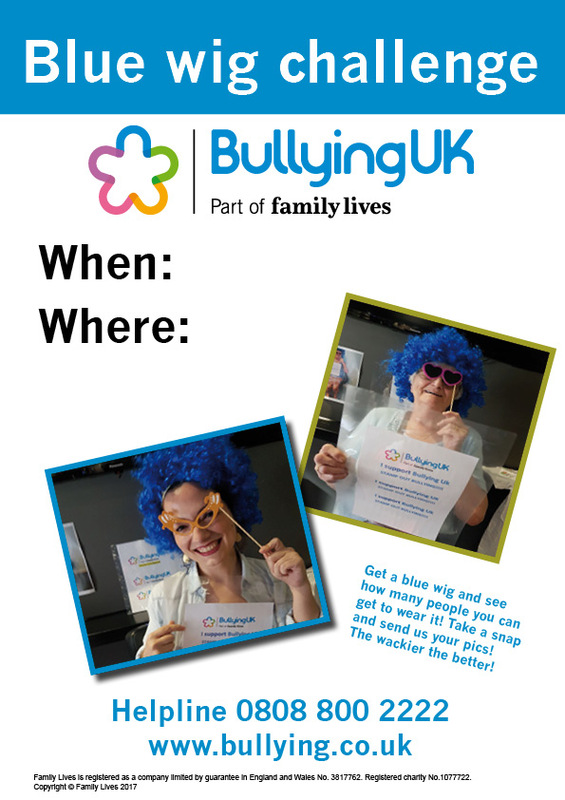 Get involved in our Wear Blue wig challenge and see how many people you can get to wear it. All they need to do is wear a blue wig and strike a pose for a wacky snap! Dont worry if you haven't got a blue wig, you can make one with card and lots of blue paint! Don't forget to send us the pics for the gallery! 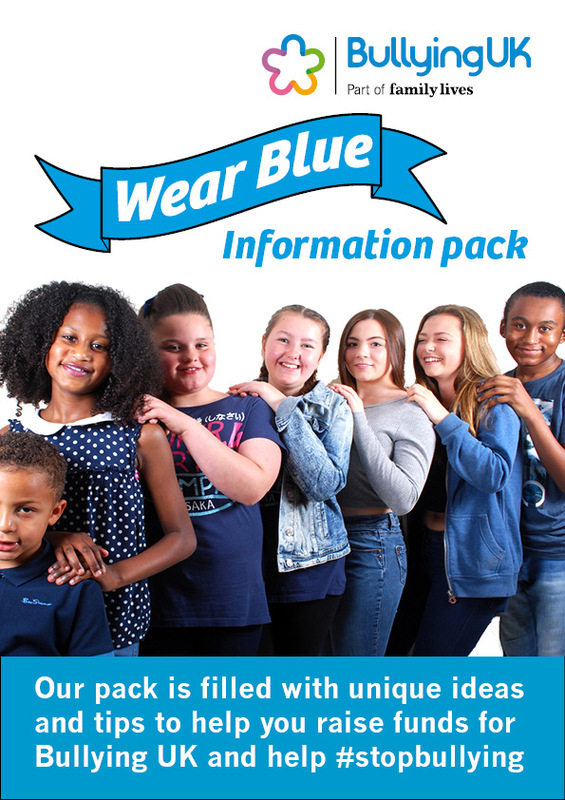 We have lots of posters to help showcase Wear Blue Day in the pack that you can download and display. 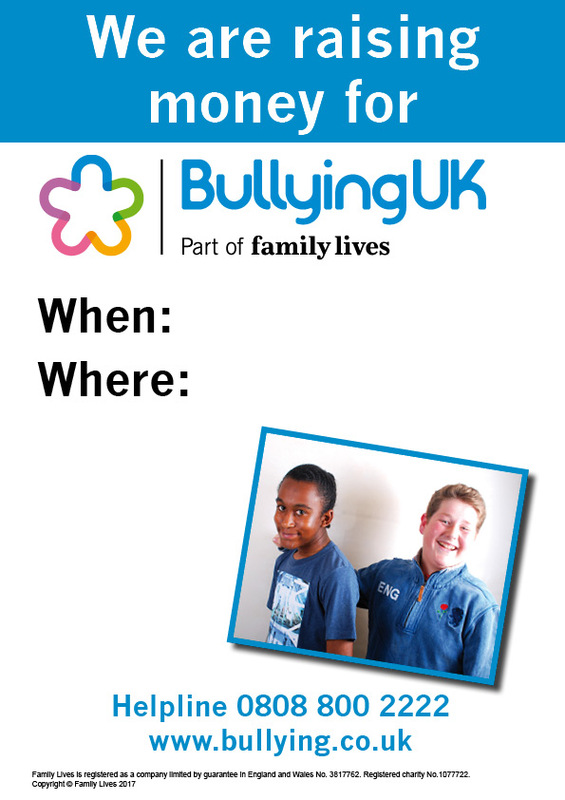 Help us to make this Wear Blue Day the biggest yet.